Rhody Life: Surprise! Look what arrived on my doorstep! First, let me start by saying, a stork did not drop a baby on my doorstep. Nope. Didn't happen. Moving on. Let's get to the good stuff. When I was originally writing this post about the Family Room and how we are going to decorate it, I discovered that the rug I was in love with was being discontinued! I went to the RugStudio website, which is where I was planning on purchasing it from, and realized that they knocked the price down significantly for the sole reason that they wanted to get rid of all their stock before the item was discontinued. I was absolutely amazed when I found that the price for the 8'x10' rug was $275! I mean, really? That's an awesome markdown, especially considering the original price was over $700! 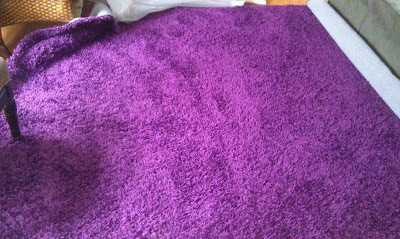 I talked with D and he told me that as long as I was absolutely sure that this was the rug I wanted, that I could go ahead and order it. 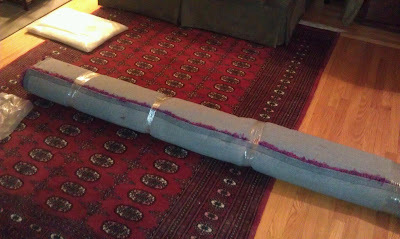 We weren't originally planning on purchasing much for the house until after June, but with a deal this good on top of the fact that the rug was being discontinued, we made an exception. 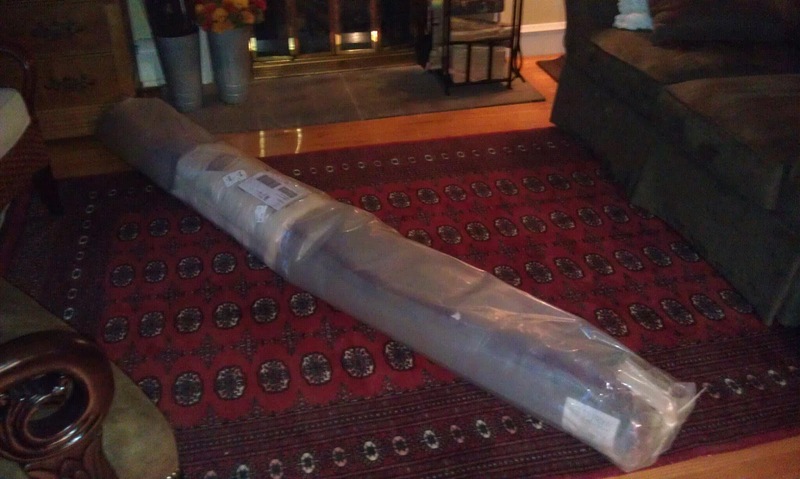 So, I added the rug to my shopping cart, but before I submitted that order, I did what every online shopper does, and I checked for coupons. Lo and behold, I found a 20% off coupon that was actually accepted! 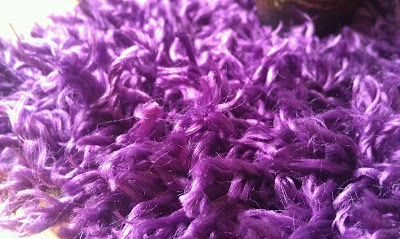 The grand total for this rug came out to $220, with free shipping, and a free rug pad! I think I did pretty good, don't you? So, I stalked my email for a few days, and when I got notice that it was going to be arriving on Friday, I got so excited! Friday came around and as we walked out the door on our way to work at 9am, there it was, sitting on the doorstep! I've gotta tell you, I've never had something delivered that early to me in the morning before! I was so shocked to see it there! Unfortunately I couldn't open it right away, but you better bet that I did as soon as I got home from work! I've gotta tell you, this rug is perfect! The shag is so, so, soft, and is the perfect length. The boysenberry color is perfect, and while it's really bright in direct sunlight, it's exactly what I'm going for in all lighting. If you're looking for an inexpensive but high quality shag rug, I really recommend that you get your hands on this Surya Wilde rug from RugStudio. Awesome discount since it's being discontinued, and it comes in a bunch of other colors as well. 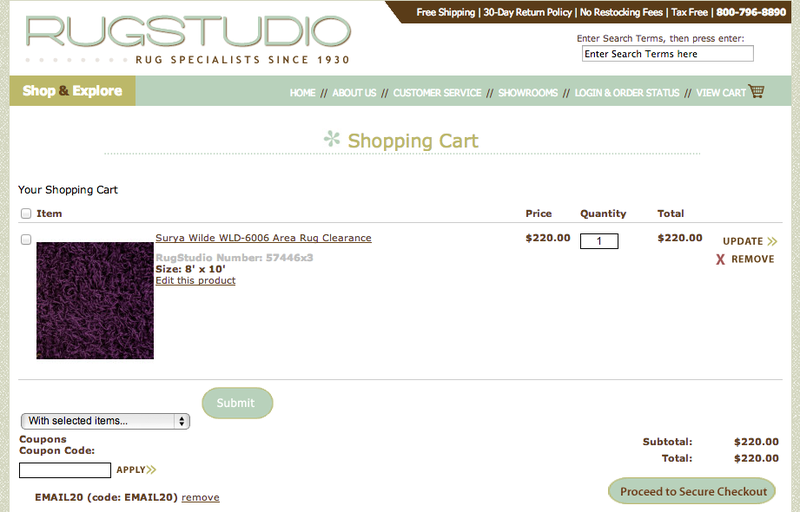 I really couldn't speak more highly of RugStudio right now. So, what do you think? Think I scored a great deal? *All opinions are my own, and I was not asked, persuaded, or rewarded for providing these opinions.